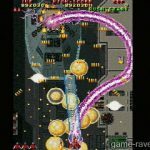 Two Great Arcade Faves Hit Home…right where it hurts! 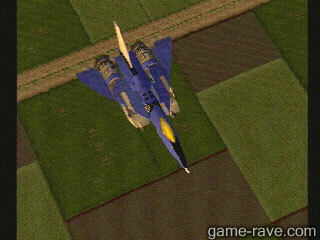 When aliens invade Earth, you fly an awesome experimental plane into fierce battles to save the world. It’s the ULTIMATE airborne “dodge n’ destroy” challenge. You’ll probably end up in traction! MISPRINT: Kileak: The DNA Imperative is the actual data on the disc. The small number on the underside of the hub reads “IFPI 501a”. A game series that could, and has stood, the test of time. 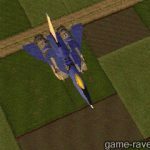 Raiden Project gathers Raiden and Raiden II onto one disc with a robust amount of options. 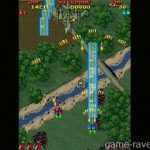 Two arcade 2-player co-op games that blazed the trail for modern day shooters like Radiant Silvergun and Mars Matrix. After 11 years the series is still a white knuckle shoot fest with arcade perfect graphics and sound, plus a re-mixed soundtrack. If you have a PSone or PStwo, you owe it to yourself to track down this game. The only 32-Bit version of Raiden II released in the States. 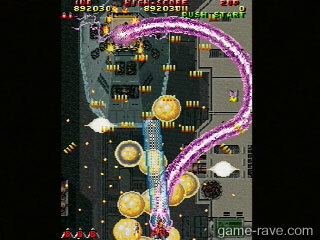 The opening animation (see middle screenshot) is a 3D rendering of the player’s ship taking on the first stage boss, complete with blue lasers and large explosion. Interestingly, the animation has a cycling lighting environment. If you watch it a few times, it goes from day to dusk, to night and back. Follow the on-screen commands to view it without the logo / options. The sequel, Raiden III came out on the PlayStation 2. 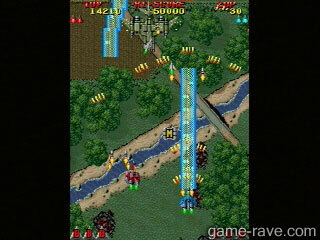 Further sequels made it to the arcade and Xbox 360 / PC. Launch day game, and thus starting the PlayStation’s then 2D friendly atmosphere. Sadly it never really carried over to the PS2, as most companies were forced to consolidate multiple 2D titles into one set for it to be released. Exceptions were made so long as they were high profile titles, like Marvel Vs Capcom. Raiden Project’s PSRM number is not in the correct spot. Rather than the CD edge, it’s underneath the Compact Disc logo. The first ever true arcade compilation disc for the system.